For most of the 550 children who go to Bengre Kasba Government Higher Primary School in Mangalore, the mid-day meal provided by The Akshaya Patra Foundation could be the only meal in a day. The school brims with smart kids who participate not only in study related contests, but are also actively involved in cultural activities and various kinds of sports. For such an active schedule, it is very important to make sure that they are fed well. 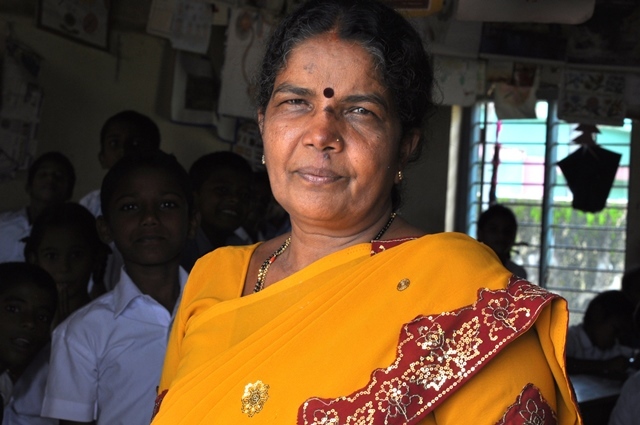 Leelavati, a senior teacher in the school who has been teaching the kids for many years now points out that she has seen a significant change in their health and concentration ever since Akshaya Patra started providing midday meals. "These kids come from economically challenged backgrounds. Their parents are into occupations where financial stability is nearly extinct. Some of them are fisher folk while some others climb coconut trees and bring down coconuts for a living. Hence, even a bowl of the payasa (a sweet dish) that Akshaya Patra provides every Saturday is like luxury to the kids," says the teacher. Banu, a Standard VII student is one of the most intelligent kids in the school. Her mother rolls beedis (cigarettes) for a living and father is a fisherman. He leaves home at 4 a.m. and returns before or just after dark. There are days when her father cannot promise a meal due to various causes, most of which are not natural. Safeena wants to study law so that she can help rural inhabitants win their battles for their rights. She likes the hot and tasty Pulao or vegetable rice that is served in her school on Thursdays and Fridays. According to her teachers, her health used to be very bad earlier but has improved now since she started eating Akshaya Patra midday meal.